Winchester Public Safety officials working in partnership with the Council on Aging professional staff and Meals on Wheels staff would like to identify any vulnerable person who resides in Winchester for public safety use in the event of an emergency only. The requested information is confidential and is needed to add a vulnerable person to the Public Safety Dispatch Center computer system which will allow public safety officials to better assist vulnerable residents during an emergency. There are two forms that will assist us in identifying vulnerable residents. You can find links to those forms here as well as on our FORMS page. 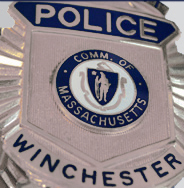 The Winchester Police Department would like to remind you that forms also exist for children at risk and can found on our FORMS page.